Welcome to the Salted Gold food blog! This is my first official, official post and I could not be more excited to start this foodie bloggy type adventure! Family fun, wine galore, and food, glorious food!!! 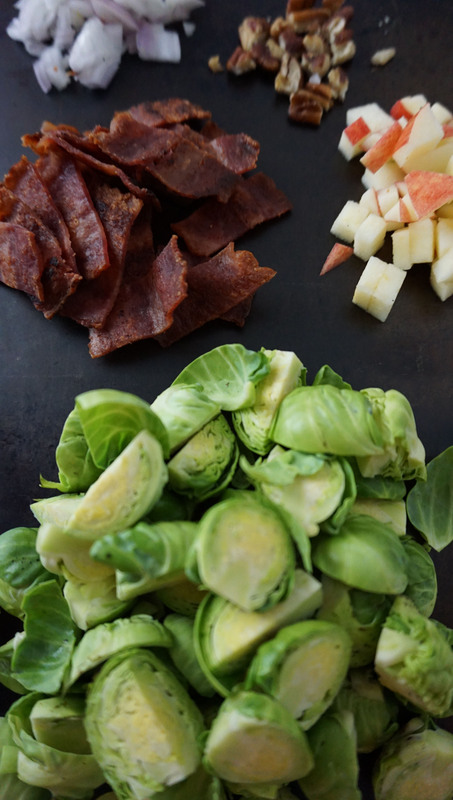 With the holidays around the corner what could be better than bacon…? 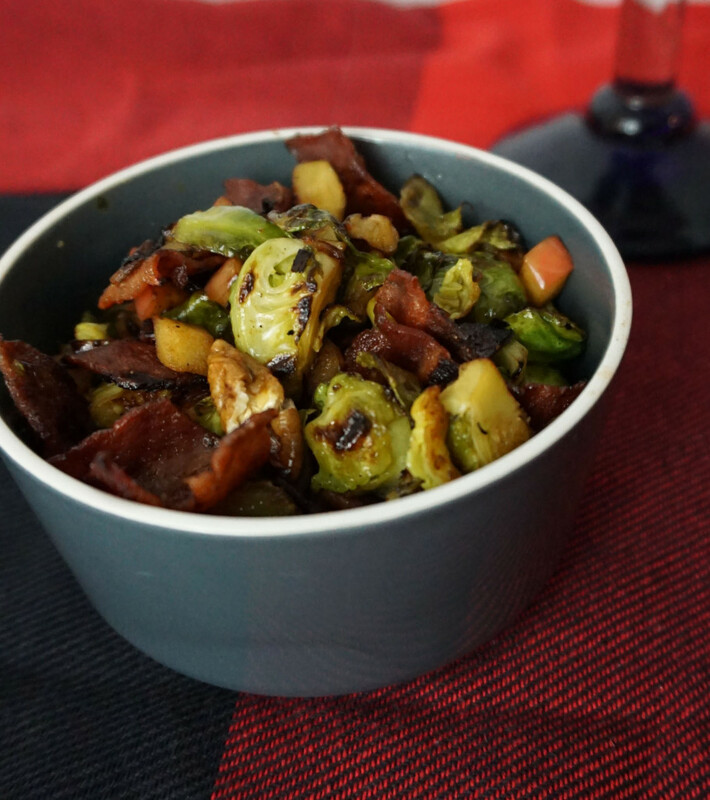 Not that bacon needed any help from me, but here’s a wonderful side dish that will brighten up any festive feast! 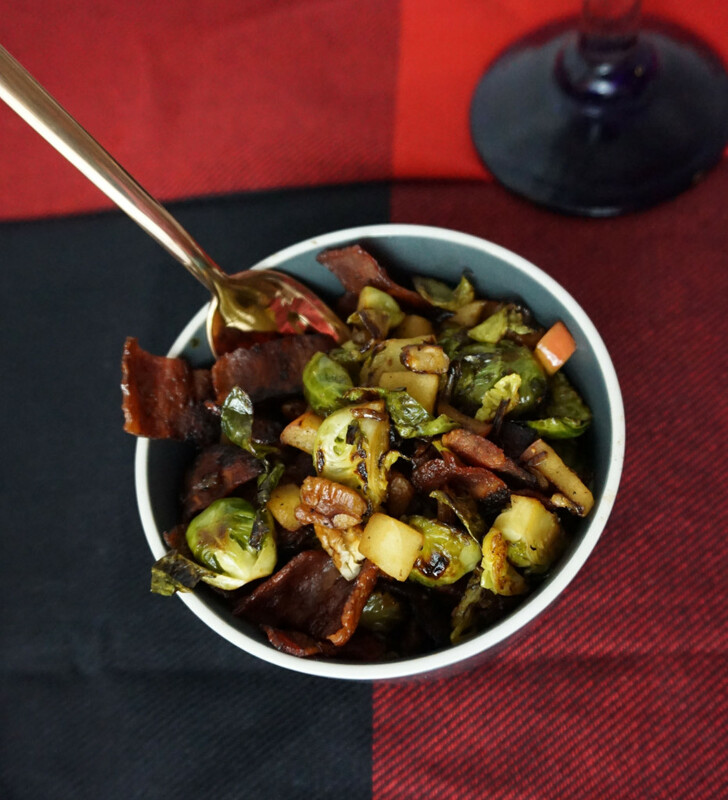 I got brussels sprouts in our CSA and had Thanksgiving side dishes on the brain. Now, tbh, I went a little on the healthy side for this one because it was my dinner that night; but if it was on actual Thanksgiving — when calories don’t count — I’d make this with thick cut bacon. It was still a great weeknight dinner with the turkey bacon. Heat 1TB butter on med-high heat. Once butter is hot add onions to pan. Cook about 10 minutes, stirring frequently, until onions are close to caramelized. 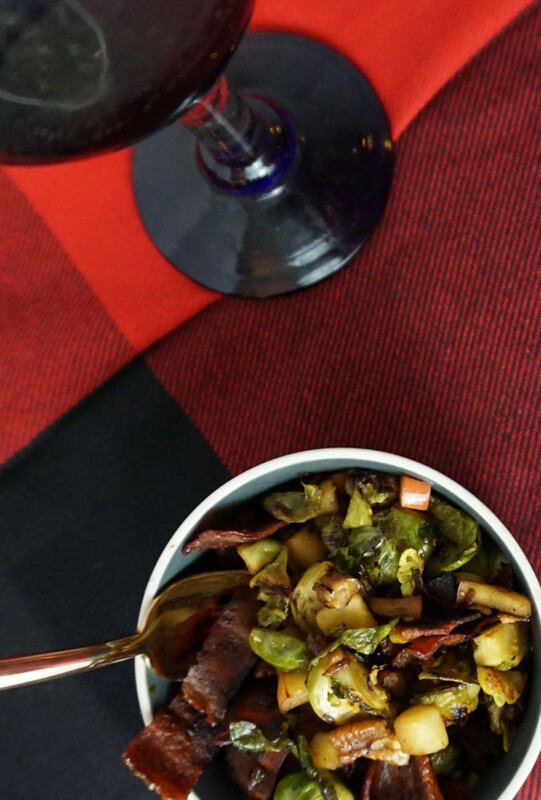 In bowl, coat brussels sprouts with olive oil. Add to hot pan. Stir occasionally. After about 5 minutes add the apple, vinegar, pecans, maple syrup and chopped bacon. Cook for another 4-5 minutes until ingredients are incorporated. I’m so excited to make this!! !